LanScan's purpose is simple and straight to the point. This lightweight utility is capable of scanning your local network for connected devices. It provides you with a few basic details about each device and it lets you save the information. 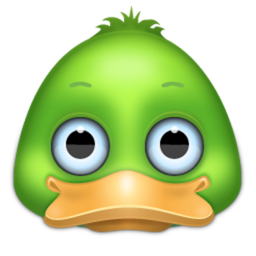 The application is compatible with all popular Mac OS X versions, it is offered free of charge and you can have it up and running on your Mac in no time. The software can scan a default IP range or one of your choice. Regardless of what range you wish to scan, you may begin by simply clicking a green Play button, on the application's user interface. It doesn't take long to complete the scanning process, even on large networks. Found devices are listed in the larger area of the interface, along with their host names, which can be edited, IP and MAC addresses and vendor names. You may copy these details one by one or all of them at once, by right clicking one of the listed devices and selecting the appropriate option. Alternatively, you can export the entire list as a text file. The software lets you set up a default output folder, so you don't have to select it each time you export a list. If you need to know what devices are available on your local network, LanScan will provide you with the information at a moment's notice. You can scan your entire network with only one click. The application works fast, even with large networks. The results include useful information, which can be copied or exported. The application may be too simple for some advanced users. 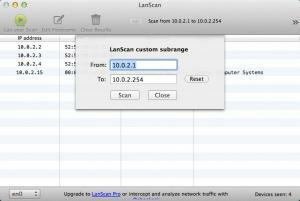 You can download LanScan free here.